Description: Gwen just got into college, but her bedroom is a crazy mess! Help her find the objects she needs to clean up and redecorate! 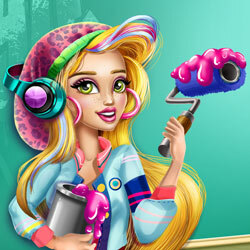 Gwen has a trendy style, so make sure your interior decoration choices reflect her unique sense of fashion, and have fun!